The Pearcey Foundation today announced Rome2rio co-founders Bernie Tschirren and Michael Cameron as the joint winners of the 2018 Victorian Pearcey Entrepreneur Award. 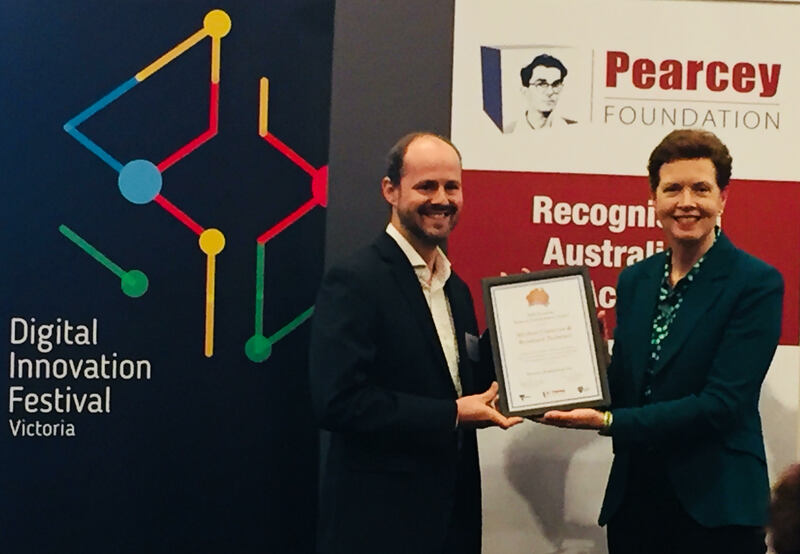 The award was presented last night by Victoria’s Lead Scientist Dr Amanda Caples at Pearcey Day, an event held as part of the Victorian Government’s Digital Innovation Festival (‘DIF’) which showcases and celebrates excellence across the Victorian digital and tech ecosystem. Rome2rio is the world’s biggest multi-modal online travel planning and booking service. Users can enter any town, address or landmark as their destination and Rome2rio will instantly display flight, train, bus, ferry, car-share and driving options to connect them door-to-door, with estimated travel times and fares. Founded in Melbourne in 2011, today the Rome2rio site attracts over 600,000 unique visitors a day, and has had more than 100 million unique visitors in the last 12 months, making it one of the top travel planning sites in the world. The site supports around a million routes from 5,000 transit operators giving access to most countries in the world. Bernie Tschirren and Michael Cameron first met at a drinks event for Australian expats while working in Redmond as software developers for Microsoft in 2007. In 2010 they moved home to Australia to build a global technology business with Melbourne as its base, and first established Rome2rio while working out of Michael’s parent’s lounge room. Taking the ‘cockroach’ rather than the ‘unicorn’ approach to their startup, Bernie and Michael moved into the Inspire9 co-working space in Richmond and built up the business gradually over the next eight years, finally outgrowing Inspire9 in December 2017, with a team of more than 40 people moving into its new global headquarters next door in part of the same Australian Knitting Mills complex. Rome2rio currently employs an additional 30 staff around the world in its global content team. “Bernie and Michael epitomise the values of the Pearcey Award. They took a risk to start a technology company to change the world, then decided to go further and base themselves in Melbourne at a time when the startup ecosystem here was still being established. They have had the bravery and good sense to do things in a way that works for them, rather than following some default model. What they have achieved over the past eight years with very little fanfare or publicity is a testament to their individuality and strength of character, which has inspired those who have had the privilege of sharing the experience with them,” said Jordan Green, an award judge and Pearcey National Committee member. Michael Cameron has a PhD in Mathematics from RMIT and was a lead software engineer in Microsoft’s Bing Search team. As well as driving Rome2rio’s search capabilities, he also took on the business leadership role at the company. Bernie Tschirren is a Computer Scientist from Curtin University who was a senior software developer at Microsoft, working on architecture and design tools that shipped in Visual Studio 2005, 2008 and 2010. 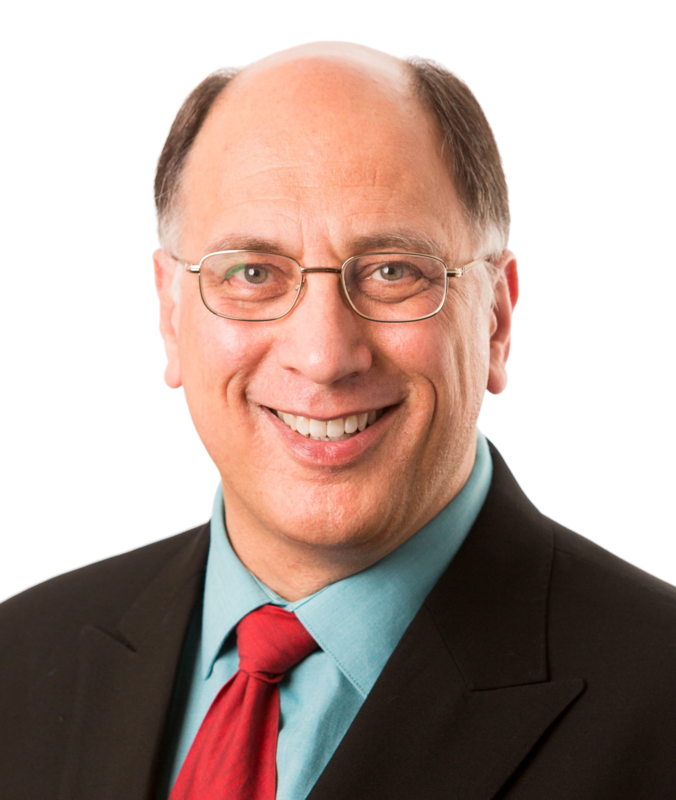 At Rome2rio Bernie has focused his efforts on the technology infrastructure and driving strategic development projects. The Victorian Pearcey Entrepreneur Award presentation featured as part of the agenda of the 2018 Pearcey Day, based on the theme of ‘Celebrating the Past; Informing the Present; Inspiring the Future’. Topics explored during the event included a panel discussion on current ICT heritage collections, moderated by Dr Peter Thorne, the former Head of Computer Science at the University of Melbourne who initiated the project that resulted in the restoration of CSIRAC, which is now on display at Scienceworks. 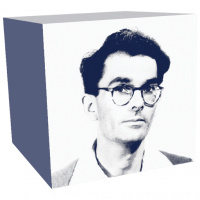 The Pearcey Foundation was established in honour of Dr Trevor Pearcey, who led the team that built CSIRAC, now the oldest surviving stored program electronic computer in the world. 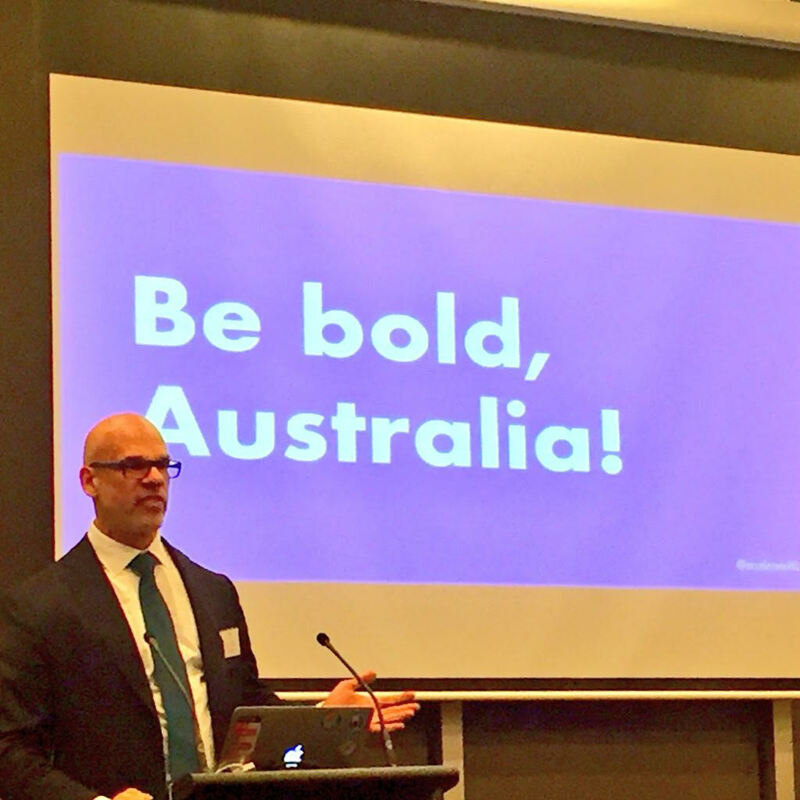 The event also featured former Chief Digital Officer of the Australian Government and digital transformation expert Paul Shetler delivering the annual Pearcey Oration. The Pearcey Oration is presented each year by an eminent Australian reflecting on critical contemporary issues impacting our nation that are driven by the introduction of advanced technologies into our society. Mr Shetler’s broad-ranging presentation discussed digital transformation in Australia in terms of its impact on both the public and private sector, government policies, some of the barriers and challenges we are facing in adopting technology change, and what’s happening in other parts of the world. Pearcey Day was held as part of the Victorian Government’s DIF (#DIFvic), which brings together and promotes a range of digital innovation and technology events across the State. The festival features more than 350 events and activities scheduled up until DIF concludes on 7 September 2018. “It’s an honour to host Pearcey Day as part of our Digital Innovation Festival and I send my congratulations to the founders and team at Rome2rio on winning such a prestigious award,” said Victorian Government Minister for Innovation and the Digital Economy, Philip Dalidakis. For more information about the Victorian Pearcey Entrepreneur Awards, go to https://pearcey.org.au/vic. ACT: to be presented in conjunction with the ACS Canberra 25th Annual Conference on 4 September. NSW: to be presented in conjunction with ACS NSW at Sydney Startup Hub on 1 November. QLD: to be presented at a gala dinner in conjunction with ACS, AIPM, AISA, APSco, ICSC, IIBA, ISACA, ITFGC, ITSMF, SIBA and WiT on 10 October. Event details to be confirmed. SA: presented to Tony Clark of Rising Star Pictures during the ACS SA Branch Forum on 28 September. TAS: to be announced in conjunction with ACS and Tasmanian Disruptor Award finalists. Event details to be finalised shortly.